World Science Forum 2017, Jordan, 7th – 11th November. In line with this year’s overarching theme ‘Science for Peace’ this discussion will offer ideas and solutions on how to foster scientific cooperation in the region and present CILAC as an integral space to forge and strengthen regional cooperation.  CILAC 2018 the second edition of Latin America’s Open Science Forum will take place in October 2018, Panama City, Panama. Some of the areas to be addressed in this session will include, how to promote integrated approaches between countries in LAC; funding for regional research; the interface between science-policy and society; cross-learning platforms to foster smart bench-marking between countries and communities; education for science to strengthen citizenship and democracy for sustainable development in Latin America and the Caribbean. The session will be moderated by UNESCO Montevideo´s Regional Director for Science for Latin America and the Caribbean, Lidia Brito. Her approach towards promoting dialogue and exchange between the panellists of experts and the audience will be similar to one of a journalistic-style discussion. The panellists of experts include Minister of Science and Technology of Argentina, Lino Barañao, Minister of Science and Technology of Panama, Victor Sanchez Uritia, the Mayor of the City of Montevideo, Uruguay, Daniel Martínez, and Director of ColCiencias, Colombia, Cesar Ocampo.